Dr. Christal Pollock is a veterinary consultant for Lafeber Company. Dr. Pollock completed an internship in small animal medicine and a residency at the University of Tennessee in avian and zoological medicine before working as a clinical instructor in the zoological medicine service at Kansas State University. She is board-certified in avian medicine and serves as an associate editor for the Journal of Avian Medicine and Surgery. Christal currently works as editor and technical writer for LafeberVet and she is also co-manager of the Lafeber Company Veterinary Student Program. The companion parrot is part of the family! While including our feathered friends in the holiday season, we must be sure to keep them safe. 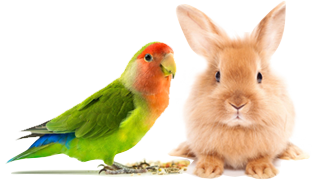 Foods on your avian vet’s do not feed list include chocolate, avocado, onion, high-fat, and high-sugar foods. Did you know that a voice change or lack of vocalization in birds can signal a health problem, or that cough-like noise, gurgling sounds or a high-pitched squeak can all indicate a medical emergency? Ever wonder what life is like for the ducks, geese or swans you see at the neighborhood pond or hear quacking and honking as they pass by overhead?